The Sea Otter-R is a lower aft deck version designed for rolling / light touring. This version uses different cross sections 4 through 6, a flat coaming, and a new skin. The flat aft deck is nearly 2in. 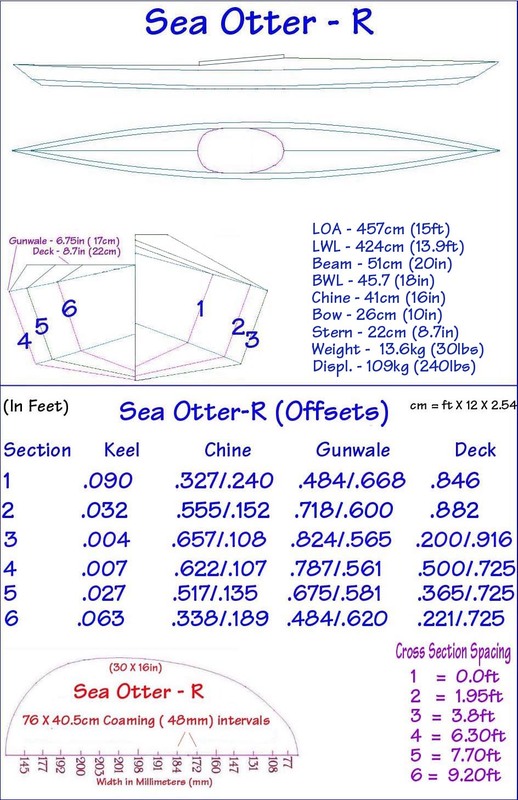 ( 5cm) above the gunwale low point for greater freeboard and storage. This is a change from the flat aft deck Greenland kayaks which have the deck at the same height as the gunwales. Two additional .5in ( 1.25cm) deck tubes are required.